AP Birks Wendouree Cellars produce some of the very few wines I’ll buy without tasting! The wines are something special. 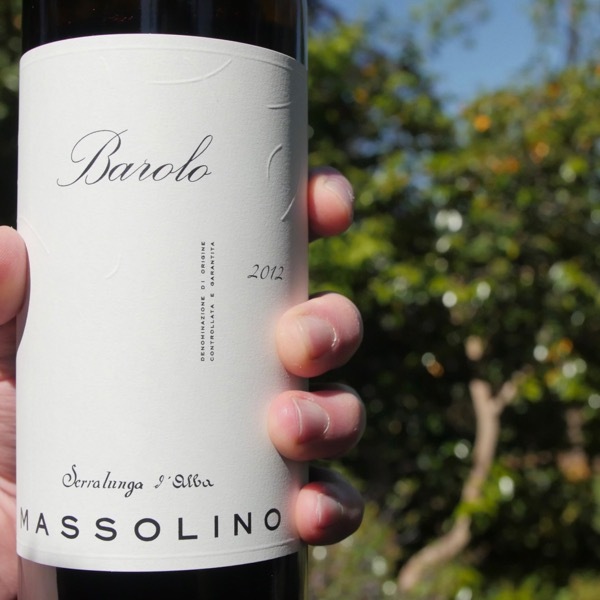 A celebration of an incredible old vineyard with plantings from the late 1800s. Tony & Lita are custodians of something truly special! Around 30% Malbec and comes from 1975 Central, 1920 Eastern, and 1989 Western vineyards. The blend of Cabernet and Malbec is well known throughout the world. Along with Merlot, Cabernet Franc and Petit Verdot, they are two of the varieties that make up the Bordeaux blend. Cabernet Malbec blends from Wendouree, Brand’s Laira (the 1978 and 1979 were epic) in Coonawarra and of course Yarra Yering, have been some of the most thrilling Australian wines I’ve ever had. Why is this Wine so Yummy? Check out all the Wendouree Wines! Purchased on release and stored in a climate controlled cellar, all are in pristine condition. Wines are ready for immediate shipping weather permitting. Milton Wordley was kind enough to share many of the photos below with us! He shares wonderful stories of the wine industry and its people on his site ‘People of Wine’. His interview with Tony Brady is well worth a read. You can see a portfolio of his work here. Wendouree has no cellar door, no fax, no website, it doesn’t need them. 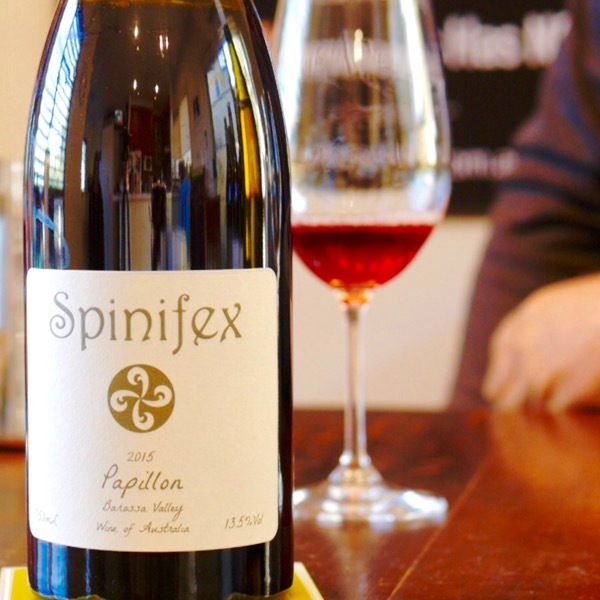 The wines have such an incredible history and pedigree, they speak for themselves. The wines are incredibly long-lived, I’m just starting to drink the wines from the early 00’s. In recent times, the wines have been softened a little. Their pleasures can be released a little earlier. They tend to have a deceptive lightness, that gives way to incredible depth and length of fruit. The overt oak found in some of the wines from the late nineties is no longer present. Layers of aromas and flavours can’t be easily dissected, such is their harmony. The grape tannins have an incredible texture and density. Visiting Wendouree back in 1999 with a couple of French winemakers, it was clear that Tony Brady, custodian of Wendouree with his wife Lita (who unfortunately wasn’t present, her moreish date biscuits were!) was humble, thoughtful, wouldn’t suffer fools, and incredibly generous. Looking at gnarly bush vines over a hundred years old in the Wendouree vineyards is a rare thing indeed. It amazed me that they still offered fruit. Having allocated 2 hours for the visit we left over 4 hours later. Having tasted every wine in barrel, we were offered refreshments. Lita’s date biscuits are sensational. Tony offered us tea or coffee. I saw no espresso machine and suggest tea. Tony replied the coffee is good. How could I refuse, it’s just another liquid after all, and, he’s pretty hand with the one he makes and sells. Using a tradition hand grinder for the coffee beans, and, a beaker on a bunsen burner to warm milk, made for another tasty beverage. We took over a couple of wines we’d made to share with Tony. He was kind enough to return the favour. Taking us to a double wooden door, behind which lay his museum stock, he drew the airtight doors, gestured to us, and, requested that we selected a bottle of our choosing. After some moments, I proclaimed, I can’t do it! There were simply too many treasures. He turned to the French winemakers, asked what year they were born in. Both 1975. Within a couple of seconds, he’d grabbed a 1975 Shiraz for us to devour that night. What a wine! I’m certainly glad Tony didn’t end up continuing on his early path in the legal profession. The list of planting dates for Wendouree’s vineyard is insane. 1893, 1898, 1919, 1920, 1971, 1975, 1989 and few more recent plantings. During our visit in 1999, Tony showed as a new planting a couple of years in the ground. Over the road, Hardy’s had planted a vineyard at the same time. Tony & Lita’s vines, Shiraz, from a selection massale were establishing beautifully and evenly with drunks 15-20mm thick, whilst the neighbours struggled to make pencil thickness and were incredibly uneven. Enough said! In the image of the old vine below you can see two canes on either side with 8-9 buds on each, and, a number of spurs 7 or 8 in total with 2 buds on each. From each of these buds, a new shoot will grow that may have a bunch of grapes form at the base of the shoot. Managing these old vines is challenging. It’s important that they spread the growth across the entire vine to draw energy and life through the head. If they don’t, parts of the head will die over time. 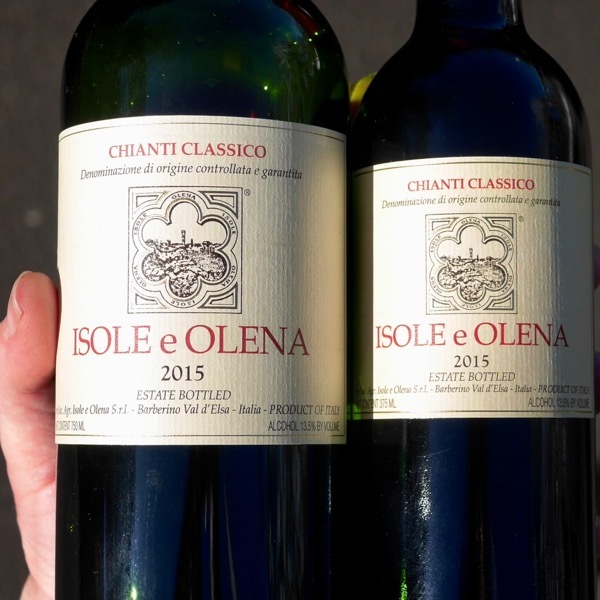 All of that old wood in the head, trunk, and, invisible underground in the root system offers more flavour and finer tannins! Looking at his old bush vines, I could help but think “If only you could talk”. It’s not often you see vines over 100 years old! Whilst the canes and spurs coming from the vines weren’t abundant, each that did was vital. Tony indicated yields that surprised. Yes low, but, not horrifically so. I forget the exact numbers. Technology is employed just because it exists, it must have a purpose. The Wendouree winery is relatively low tech, yet clever. Basket presses, open fermenters, a few tanks & barrels. That’s about it! Deep understanding of the science of wine doesn’t require that you use every bit of technology available, just that you are aware of what’s around, and, that like Tony you can be a little creative in coming up with solutions to the challenges you face. Tony completes malolactic fermentation in tank and has added a simple heating belt to each tank to keep the wine warm enough for the bugs to stay happy and do their job. I can’t recall its origin, it’s not from the wine industry directly. Like a tea light candle under a dish of food to keep it warm, very little energy is required to keep a tank of wine warm once it is already at the desired temperature. Simple yet effective. The most technically advanced piece of kit in the winery is probably the bespoke Carbon Fibre Pitchfork! By all accounts at 800g vs 2.5kg it saves tonnes of lifting during vintage! There’s a nice juxtaposition of having a manual, ratchet driven basket press sitting on a perfectly formed stainless steel juice tray. I laughed when I saw the fermentation data in chalk on the front of the open fermenter. We use a whiteboard marker on the fridge at Wine Decoded HQ! Not every wine is made every year. The nature of agriculture determines the fruit available, the winemaker the best use of that fruit. Tony, Lita, and, there supporting winemaker, Stephen George, are clearly all deep thinkers. Listen carefully and ask the right questions during a visit in this thought comes out. The little things, the 1 percenters that make a difference are hidden in plain sight. The general descriptions of each of the wines below are just that, year and evolution of winemaking will impact the specific wine. Varietal composition is a generalisation based on the numbers provided by Wendouree over a number of years. Beyond the wines below, the epic Pressings pops up once every 20 years or so! Central vineyard planted in 1898. The Malbec is the best I’ve ever had from Australia. Malbec is a fickle variety that is a case of feast or famine. When flowering is poor so little fruit is realised that you can barely make a wine from it. When it sets well you get so much fruit you can risk ending up with a dilute wine if the vines aren’t managed carefully. Wendouree’s Malbec never suffers the later issue, it always has great density, opulence and a plush, graceful texture. From 1971 and 2002 plantings. Some argue that his Cabernet and Cabernet Malbec are not varietal in character. This I don’t care about. What I’m looking for is wine that is good and these are damn good! Both have an incredible core of fruit and strong personalities. 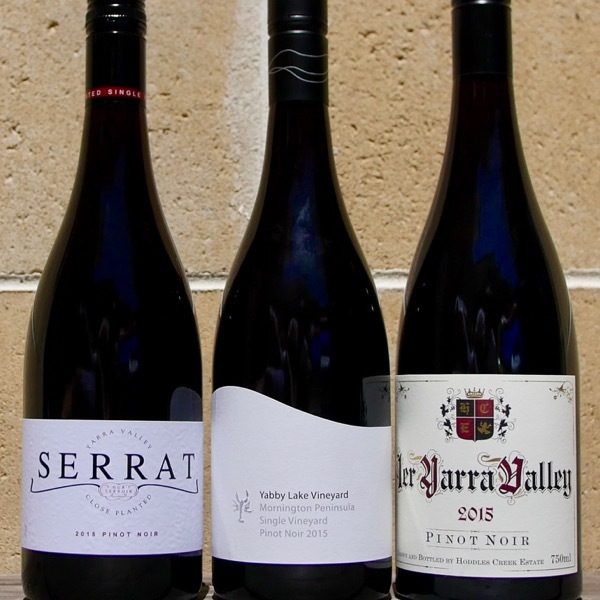 Ranges from 80-60% Shiraz and 20-40% Mataro from 1893 Central, 1919 Eastern, and 1920 Eastern bush vines. His Shiraz Mataro is delicious, more ethereal than the straight Shiraz, with some structure evident from the Mataro. There’s a lift in perfume that follows too! This one of Tony’s favourites! Ranges from 80-50% Shriaz and 20-50% depending on the year Malbec from the 1919 and 1920 plantings. The Shiraz Malbec, it’s a variation on a theme of excellent wines, the opulence of the Malbec providing a twist of difference in comparison with the Shiraz Mataro. From 1893 and 1919 plantings. Which leaves the Shiraz. No words required! One of the World’s best, I’d drink it over other Shiraz that is perhaps more well known globally every day of the week and twice on Sunday! The tannins are incredible. From Muscat vines planted in the 1940s. For the sake of completeness, although we have none to offer. I grab a few bottles of this every known and then. It’s a deliciously perfumed, sweet drink. Always vibrant and fresh, a lovely spice, and silvery line of bitterness. Put a few years of bottle age on it and the youth angularity disappears and a harmony settles on the wine. If you have a full set of these wines taste at least two of them at a time you’ll get so much from the experience. The different sites, and, tannin structures will stand out more clearly. By drinking in Context (Etna’s from Calabretta) and with Contrast (at least 2 of their wines at a time) you’ll accelerate your understanding of what’s possible and more importantly your enjoyment of the wines. Temp: 16°C. We tend to drink reds an edge warm. There’s nothing wrong with chucking the bottles in the fridge for 15minutes to drop a few degrees off them. If they end up too cold they’ll warm up quickly in the glass. Decanting: When young Wendouree’s wines benefit from decanting to help them open up, and, will often drink well over several days, if you can hold off that long! When old they will throw a little sediment. Decanting. It’s worth decanting them to achieve a clear wine for optimal pleasure, the air won’t hurt them either. ⏳Time: I love trying good wines stand alone, with food, and, often the next day. 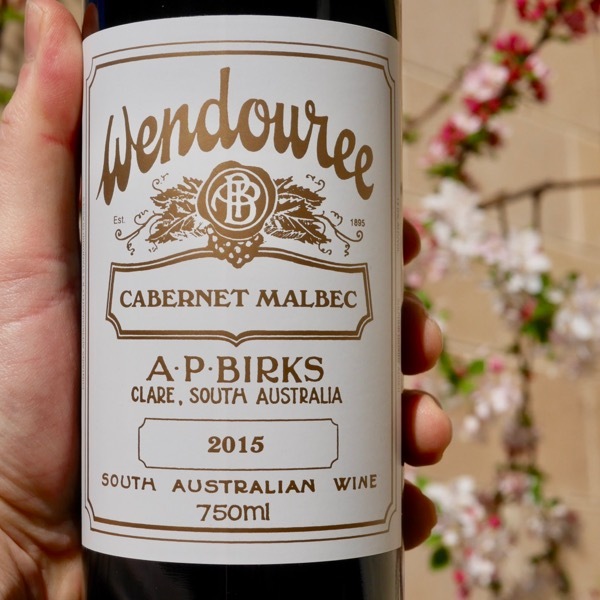 Wendouree’s wines will typically open up over the course of several hours devouring them. Make sure you leave a splash in the bottle to try it 24 hours later, you’ll be rewarded for the experience, particularly when these wines are young. Cellaring: Known for there longevity, I have not had a Wendouree wine that has been past it. Though the oldest I’ve had is a 1975. Historically they required age to soften the tannins. Over the last 15 years, in particular, we’ve seen an evolution to wines that are more approachable young, whilst still having incredible longevity. In a nutshell, hold of as long as you can. If you have enough experiment to find a drinking window you enjoy them in. The northern most wine region in South Australia. The Clare is home to some of Australia’s great Rieslings. The Clare Valley is no slouch when it comes to reds. Wendouree being home to some of the greatest of all, not just in the Clare, in Australia. The reds of the Clare Valley tend to be vibrant, fresh, and, can have slightly chunky tannins. Wendouree, Taylors and alike have worked hard on texture over the last 15-20 years with the sophistication levels going up year after year. Where in the world does the magic happen? I could just hoover this! Sour cherries with, a denser dark fruit & earthy layer. 2015 was a Great Year in Vic. Each of these producers pulled out the stops to make three delicious yet very different Pinots! Proving that Barossa wines can be elegant, restrained, packed full of flavour and ever so drinkable. to supply alcohol to a person under the age of 18 years (penalty exceeds $17,000). Liquor Licence No. 36141278 © 2019 Wine Decoded All Rights Reserved. We're Building the Ultimate Wine Playground ... Come Play!